Can These Guys Give A Speech Or What? Sometimes it's a better idea to shut up and let someone else do the talking. That's what we're going to do right here, with a speech from Britain's Shadow Secretary of State for Transport, Damian Green MP. In the course of the next few minutes I am going to say some things that the Minister will not like, so I should preface them by saying that I fully recognize the difficulties facing any Government that finds itself in the position of having to produce a White Paper on aviation. We all know that the opponents of any particular project are likely to be more vociferous than its supporters. We all know the passions that are aroused by proposals for more runways, and looking around I suspect we will hear many of them expressed today. At the same time we recognize that aviation has been the most obvious success story of the transport sector over the past twenty years, because it has been subject to competition and consumer choice, and we want that success to continue. So I will deal with the main issues of the White Paper and the other issues that have arisen since. These include some environmental considerations, some thoughts on state aids, and most topically the subjects for the Transport Council later this week, which could take decisions which would have far-reaching and damaging effects on the future of British aviation. I will first take the White Paper on its own terms. It sensibly sets out a list of balanced criteria against which we should judge it: the need to expand capacity and people's desire to travel by air, alongside a wish to minimize the impact of airports on those who live nearby, and a requirement that aviation should pay the cost of the impact its activities on society as a whole. It's hard to argue with any of that. So does the Government's policy live up to its own billing? We said at the time that the problems with the White Paper were two-fold: first that it fudged some key issues and would therefore cause blight around airports as legal battles were fought. Secondly, that there was little sign of the joined-up thinking we are always promised, either between the aviation policy and the rest of the Department's own responsibilities, and still less between the Transport Department and other arms of Government. I am afraid that both those initial fears have come to pass. 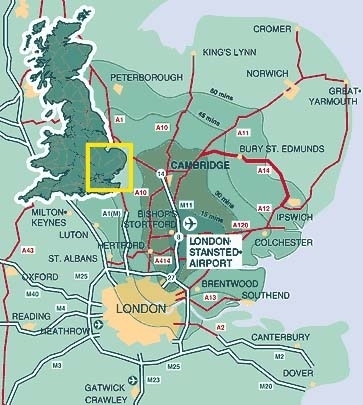 Much of the debate inevitably centers on runway capacity in the South East, and the problems both of fudge and incoherence are illustrated by what has happened around Stansted. Some sort of legal challenge was always likely, but what is significant is that the challengers are seeking judicial review on the grounds that the development of the policy in the White Paper was fundamentally flawed. 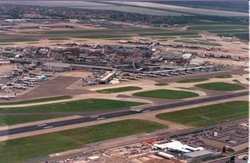 There are four aspects to this flaw: the lack of commercial justification for a second Stansted runway, the potential for mixed mode use of runways at Heathrow, the failure to allow comments on proposals to extend the runway at Luton, and failure to give proper consideration of other options around the South East. I am sure that others will want to deal with these matters in more detail, so I will not develop these individual complaints, but they do illustrate the disappointment of a White Paper so long in gestation but which seems to have missed some basic points. I think it is legitimate to question whether the Government's option, of an early second runway at Stansted, will ever come to pass. Most of the growth at Stansted has been in low-cost flights that have done so much in recent years to increase people's opportunity to travel. But a new runway would mean higher charges, which may drive away these low-cost operators. If BAA tries to fund it with cross subsidy from the airlines using Heathrow, we will certainly see another round of court cases. So the question of the commercial viability of the second runway is a legitimate one. The other issue starkly illustrated by Stansted is the apparent lack of communication between Government Departments. The Transport Secretary says he wants a second runway at Stansted within a few years because the surrounding area is thinly populated. Meanwhile, the Deputy Prime Minister wants to build thousands of new homes around Stansted. You can have a larger airport or more housing, but without severe environmental problems you can't have both. Page 33 of the White Paper talks about discouraging or prohibiting inappropriate developments around airports. I hope that by now a copy has reached the Office of the Deputy Prime Minister. Stansted is not alone as an example of the failure to bring Government thinking together. Birmingham Airport is the Government's preferred location for an additional runway in the Midlands. So it is surprising that the Department shelved plans for an expansion of the M42 which would serve the airport directly. At the same time we are all aware of the delays and frustrations of the West Coast Main Line Development. It is as though the aviation White Paper was produced in a vacuum, with no input from other parts of the transport planning process, let alone the wider land use planning process. Perhaps this is best illustrated by the White Paper's attitude to the third runway at Heathrow. This is another proposal that inevitably arouses strong passions on both sides. But whatever attitude one takes to the proposal it is undeniable, and the Government is right, to say that it cannot proceed until we solve the emissions problems that would break EU permitted limits. Equally, it is undeniable that the main cause of the undesirable emissions around Heathrow are cars stuck in queues on the motorways serving the Airport. And the White Paper is silent on how the Government proposes to solve this. It would have been extremely useful to start a debate on the merits of ideas such as the Airtrack scheme, or a spur to the Great Western Main Line, but this chance was missed. The truth is that two thirds of the emissions problems at Heathrow are caused by problems with the road and rail infrastructure. Unless those problems are sorted, all the efforts being made by BAA and the airlines to clean up their own act will not have much material effect. Indeed only in the past few says we have seen a report that throws doubt on another part of the White Paper, the proposal for mixed mode use of the runways at Heathrow. According to Professor Peter Brooker, a former adviser to the Department on aircraft noise, 42,000 people would be exposed to noise above the acceptable threshold by the mixed mode proposal. It may still be desirable and indeed necessary, but it would be better for all concerned if the Government led the debate on this issue, and did not apparently try to ignore it. The Minister knows that, for environmental reasons, we need railways before we can build runways. In a few weeks time we will see the revised version of the 10-Year Transport Plan. I can only hope that this shows more effort at integrating surface transport with aviation than the White Paper did. There are of course wider environmental matters that are current. My Hon Friend the Chairman of the Environmental Audit Committee will no doubt have much to say on this if he catches your eye, so I will not tread on his turf, but I will say a word about emissions generally. All of us who wish to see a flourishing aviation industry able to innovate and create new markets in the way the industry has in recent years, need to take this problem seriously. No national Government can solve this. Indeed, striking the right balance between a flourishing aviation industry and the need to control emissions is something cannot even be done effectively at a European level—welcome though the idea of a European emissions trading scheme is. But in the end this needs countries from beyond Europe to sign up either to minimum standards, or the use of economic instruments to cope with these issues. We need to be realistic and recognize that this is not going to happen in the near future. So any British Government will have to do what it can. We can and should apply increasingly stringent standards on emissions and noise, leading to the withdrawal of the noisiest and dirtiest aircraft. If we are going to develop usable and fair economic instruments, we need something less crude than APD. If we are going to allow more night flying, we need much more responsive attitudes towards local communities from airport operators and airlines, including insulation schemes and the purchase of the worst affected properties. Much of this is for the longer term. But there is a vital issue to be decided this week at the Transport Council. The Minister will be aware that the Secretary of State will be asked to sign up to a deal between the Commission and the United States Government which is supposed to provide a much more liberal regime for airlines both in Europe and in the US. He will also be aware that the deal the Commission has negotiated is a bad one for large parts of the UK aviation industry. 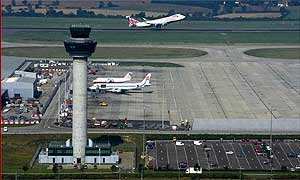 It will open up Heathrow to all US carriers, and give US carriers unlimited access to carry passengers and cargo within and beyond the EU. In return it does not give rights for our airlines to fly within the US, or to buy a controlling stake in a US airline, or even to change the rules which prohibit by law any US official using a foreign airline. Other countries, with less to negotiate with, may well feel that an imperfect deal is better than no deal at all. It is very important that the Secretary of State resists this. Even if he is isolated he should stand his ground. With an election coming up in the US it is the perhaps the worst possible time to hope for flexibility from the US side. Waiting six months to get a better deal would be much better than rushing this one through. We want to see a more liberal regime on both sides of the Atlantic. I am aware that some UK airlines would love to see the slots at Heathrow freed up, and I sympathize with them. But this has to be done alongside a better deal from the Americans. 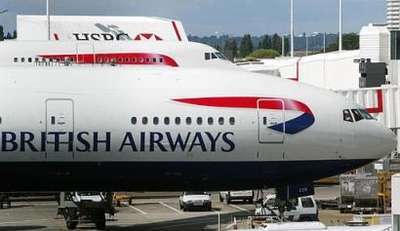 If we miss this chance then it will damage the British aviation industry for years to come. The Secretary of State has a heavy responsibility and if he fails it he will be rightly castigated. I hope he doesn't. As I said at the outset, I recognize the conflicting pressures on ministers. We have an aviation industry we can be proud of, but everything it does impinges on people who have nothing to do with the industry, and on the environment. So Ministers have to strike the right balance. The White Paper tried to do this, but failed in too many respects. This reflects a deeper problem: that aviation policy is not integrated with the rest of transport policy, or the Government's ideas on land use planning. This causes unnecessary distress in communities around the country, as well as promoting uncertainty among airlines and airport operators. So the White Paper has been a missed opportunity—we will need to put that right in the future.